Advisors | Mazza Financial Group, Inc.
MFG is owned and staffed by professionals with extensive experience in financial planning, custom portfolio design, investment management, income planning and wealth transfer strategy. 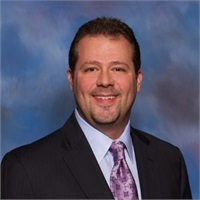 Bryan Mazza has been a financial planning and wealth management advisor since 1990. He is the lead advisor in the firm responsible for investment strategy, portfolio design and implementation for the clients of the firm. Prior to co-founding MFG, Bryan worked in the investment department of University Equities Corporation and as a representative at Prudential. During his time at Prudential, he was recognized as a planner for both quality and achievement and was a featured speaker in Values Based Selling, a nationally distributed video on client-centric planning. Bryan earned his degree in Psychology from the University of Washington. After playing soccer for most of his life, he earned the United States Soccer Federation 'C' Coaching License and has been actively involved in the local soccer community coaching youth soccer at both the club and high school level. He continues to enjoy playing golf and traveling with his family during his free time. Pete Mazza spent more than 40 years in banking, insurance and wealth management prior to retiring from MFG in 2006. Before co-founding the firm in 1998, he worked for University Equities Corporation, Pacific Northwest Financial Consultants, Peoples National Bank and Mellon Bank. He authored Focus on Financial Planning, a manual designed to assist people with the financial planning process and was a featured speaker at many seminars on the importance of investment and estate planning. 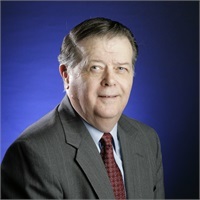 Pete earned his degree in Political Science from Dickinson College and holds the Chartered Life Underwriter (CLU) designation from the American College. He also served as a Lieutenant in the United States Army. Pete enjoys retirement to the fullest with his wife, Margie, and enjoys playing golf, traveling and lectures regularly on the American Civil War, which has been a passion of his since he was a young man.